Throughout the majority of the series, the Doctor has been portrayed as a carefree adventurer. By now you know the formula: the Doctor lands on a planet, bursts through the TARDIS doors, rights a few wrongs, and rarely ever spends a thought on the question "perhaps I should turn back?" because, let's face it, there wouldn't be much of a show if he ever did decide to leave whatever mysterious planet he landed on five minutes into an episode. Usually, the Doctor's cavalier attitude toward his travels has been treated as another part of his eccentric charm. However, The Caves of Androzani, penned by legendary Who-scribe Robert Holmes, is one of the few examples of the television series deconstructing the Doctor's "leap before you look" adventures to reveal just how dangerous they can be for both the Doctor and his companions. When the Doctor and Peri land on the planet Androzani Minor, they immediately begin exploring. Within the first few minutes of the first episode, they stumble across a strange substance in the titular caves that is, as they will eventually learn, poisonous. It seems anti-climatic that stepping in some alien gunk would be the undoing of the 5th Doctor, but this story is all about the mistakes that come from being careless. It's important to note that the 5th Doctor has never really sparked my interest. No slight against Davison, I think he's a terrific actor, but I just can't connect to him in the way I do with the other Doctors in the series. So when I say that I think this is easily one of the best of the Davison era stories and probably one of my favourite Doctor Who serials, it must be something truly special. Holmes puts the Doctor through a true test of his moral strength and character to illustrate the most important of the Doctor's characteristics: he will always sacrifice himself for others without question. 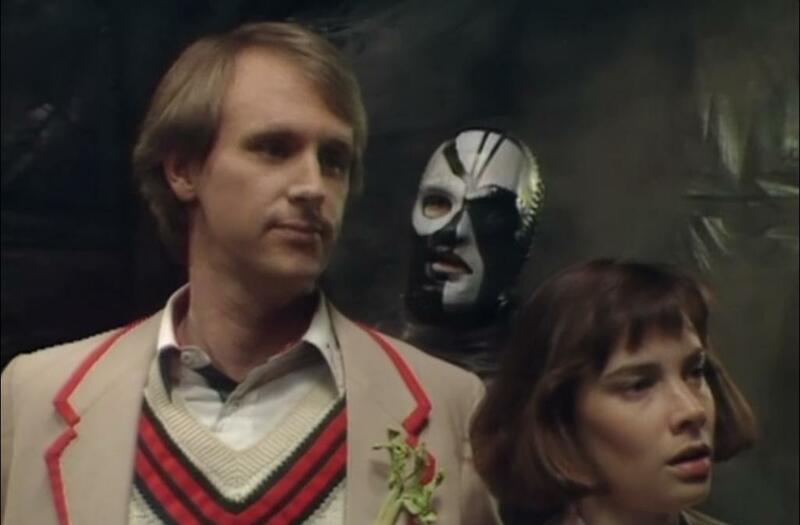 As the Doctor and Peri grow weaker from the poison, they find themselves caught in a war between Sharaz Jek (Christopher Gable), a horribly scarred mad scientist, and Trau Morgus (John Normington), the sociopathic head of the Androzani Conglomerate and the richest man on the planet. Both Normington and Gable give excellent performances as the piece's primary antagonists and truly sell the idea that neither of these men is the "good guy" in this situation. Holmes completely dismantles the Doctor Who trope of the warring factions fighting on an alien planet in this serial. Instead of having one side that the audience is clearly meant to empathise with, the two sides pitted against one another are equally corrupt, selfish, and power hungry. Morgus is the perfect caricature of the 80's business man, treating people as means to a profit, while Jek hides in the shadows and is willing to destroy anyone and anything that gets in the way of his revenge against Morgus for causing the accident that left his body covered in grotesque burns. Besides having clever twists on Doctor Who stories, this serial is also a gold standard for regenerations. In Androzani, we find the Doctor an impossible scenario. The only cure for the toxin that is slowly killing him and his companion is the milk of the giant queen bat that lurks in the caves, right in the middle of the battle between Morgus and Jek. The Doctor in this serial is an example of the basic DNA that the Doctor should always have in any incarnation. He should be willing to, at any moment, risk his life for millions or for one humble person. The serial is filled with great moments of the Doctor's heroism (the spaceship crash scene? Terrific) but it all culminates in the Doctor giving the antitoxin to Peri. 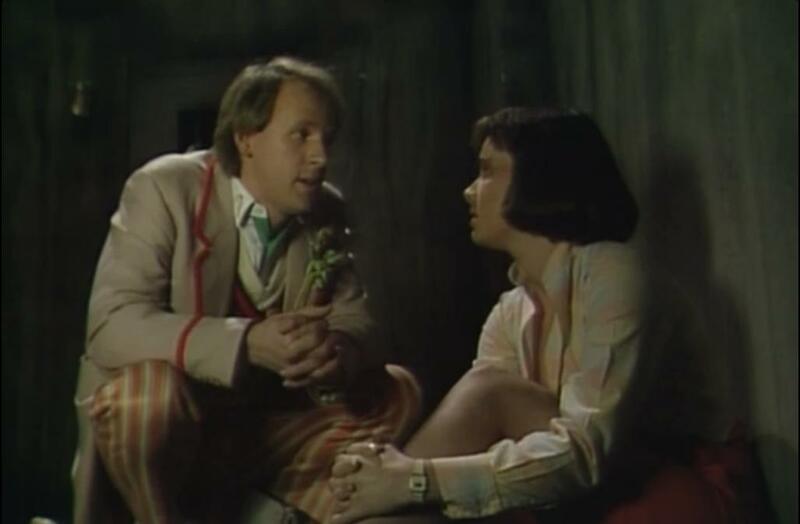 For a moment, the viewer isn't sure if there's more antitoxin, but the Doctor, with calm dignity, tells Peri that all of the antitoxin was for her. As the Doctor's life slips away, his companions from the recent years give him the strength and encouragement to fight back from death's door and he regenerates. The Caves of Androzani deserves a 10/10. It's the perfect regeneration story. 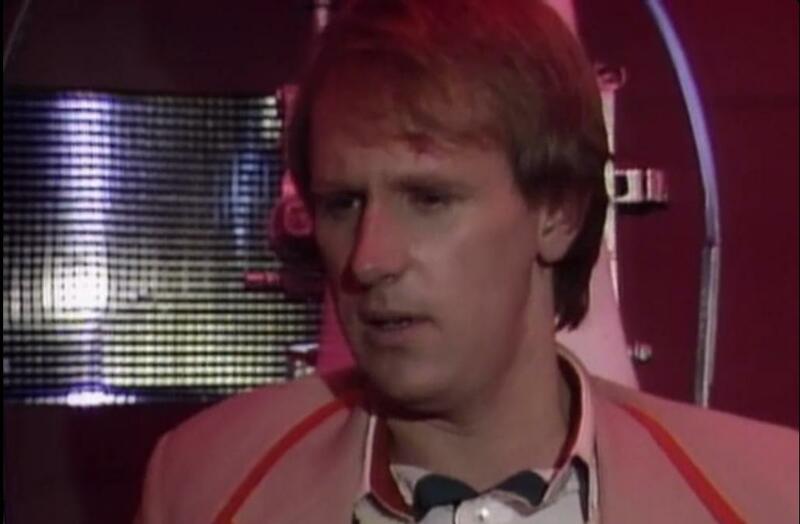 It not only gives Peter Davison a magnificent send-off from the series, but it also gives us a perspective on the Doctor's philosophy on travelling the galaxy that had never really been seen before. It also reaches the goal that all regeneration episodes should strive to achieve: give the Doctor an unsolvable problem, and have him solve it by showing his complete and total selflessness. The Regeneration Boxset is available to order from the BBC Shop now, and is due for release 24th June 2013.